A few weeks ago we talked about how our fabrication shop is manufacturing a huge order of conveyor frames. Fortis managed to take control of the manufacturing side of the order, but how do we handle keeping our customer aware of where all the frames are? Fortis is a multi-faceted organization with specialties ranging from manufacturing, to engineering, to project management, and site install when required. Fortis used all of these areas to bring together reporting metrics so our customer easily sees how the project is advancing at any stage of the project. Fortis uses Earned Value Reporting to track progress and to provide updates to our customers. 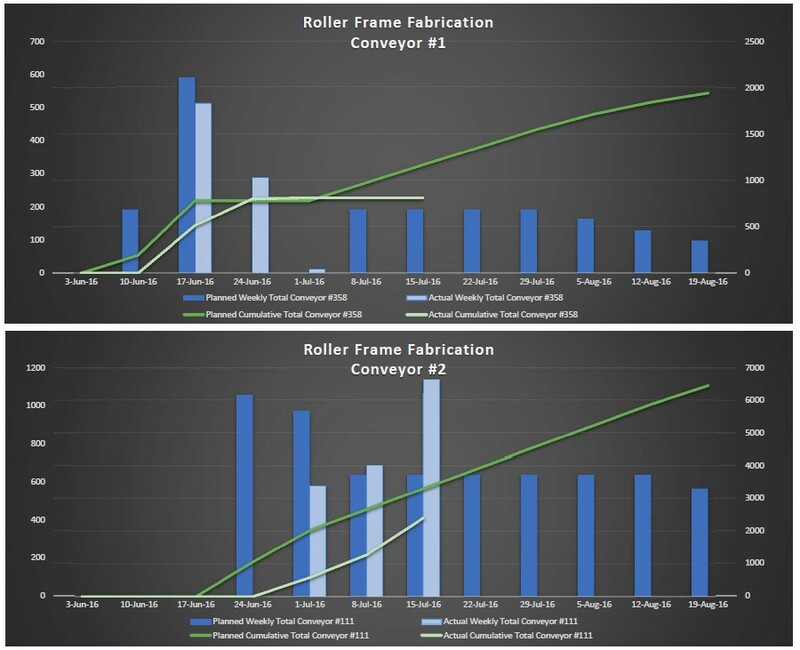 In the graphs below, Fortis uses this reporting method to establish trend lines showing how the brackets are progressing at weekly intervals. Our customer can see the status at a glance and can look at the detailed report as required. There are three different types of frames required. 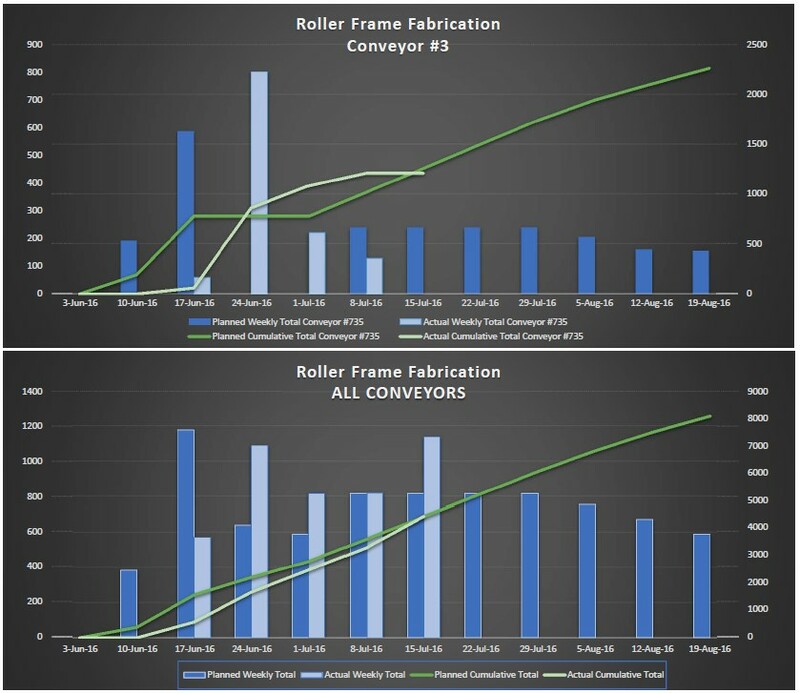 Fortis tracks the progress on each frame and the whole order as a total. This allows Fortis to share with our customer the short falls and gains on an ongoing basis. This reporting eliminates surprises and allows Fortis to adjust the schedule and resources accordingly in order to ensure overall customer satisfaction. As the frames are completed; labeling is attached as per our Clients requirements. Information including frame type, laydown areas (surface/underground), contact information, are just a few items we can include on the label. Fortis’ labels are waterproof to ensure the information won’t smudge or disappear when exposed to wet environments.